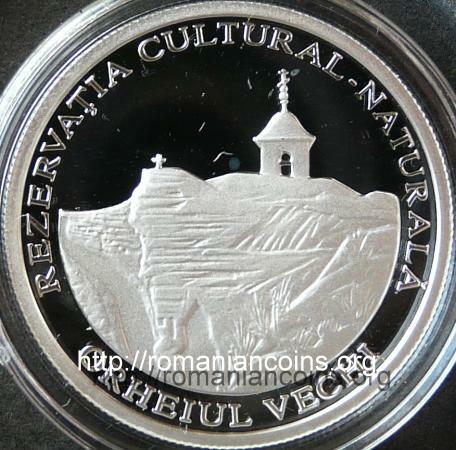 year 2010, circular inscription REPUBLICA MOLDOVA meaning "REPUBLIC OF MOLDAVIA" and the coat of arms of the Republic of Moldavia, in exergue horizontal line and denomination "50 LEI" an image of the monastery from Butuceni, part of the Orheiul Vechi (Old Orhei) nature and cultural reserve, circular inscription "REZERVAŢIA CULTURAL-NATURALĂ ORHEIUL VECHI" meaning "ORHEIUL VECHI (Old Orhei) NATURE AND CULTURAL RESERVE"
The coin belongs to the series Monuments of Moldavia, together with the 50 lei coin from 2008 featuring the Oak of Stephen the Great from Cobîlea, with the 50 lei coin from 2009 featuring the Struve geodetic arc and with the 50 lei 2012 coin featuring the Soroca Fortress. 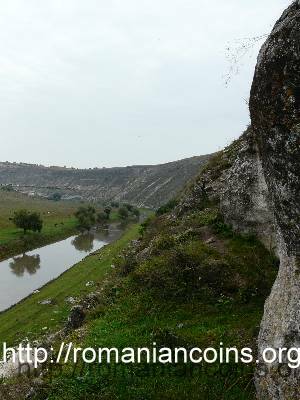 The city of Orhei was placed in the Middle Ages in a location about 15 km apart, a location called nowadays Orheiul Vechi - Old Orhei. 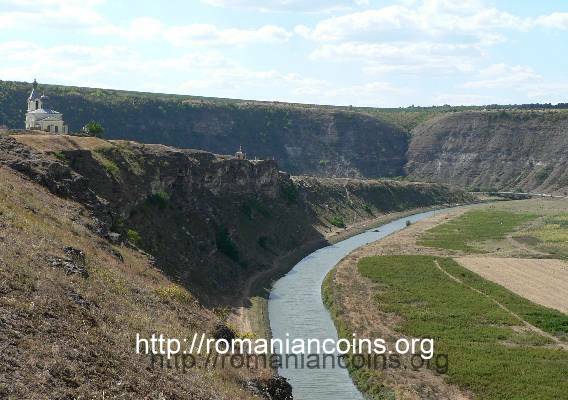 The first positioning of the city was on the valley of River Răut, near today's villages of Butuceni and Trebujeni, about 60 km north of Chişinău and not very far from River Nistru. 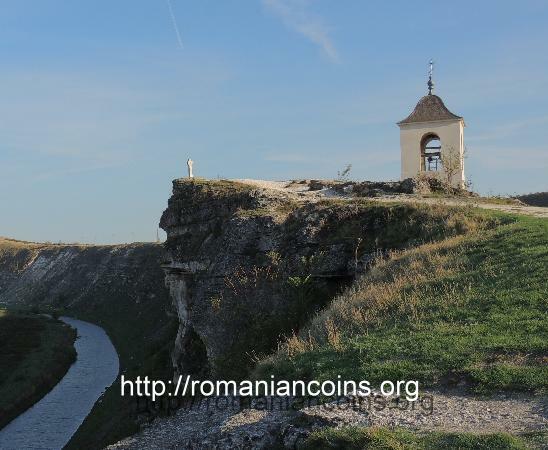 The medieval Moldavian town of Orhei resided there in the 15th and 16th centuries. 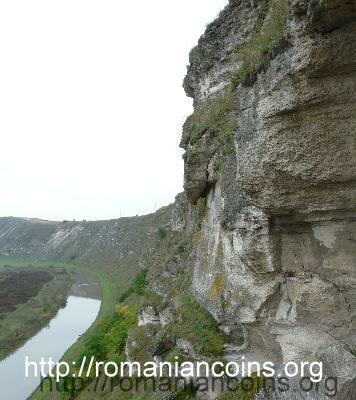 In these whereabouts River Răut flows through a valley featuring on the left side a 100 m high bank - called an erosion canyon - that was dug in Sarmatic limestone, also known as shell-limestone. 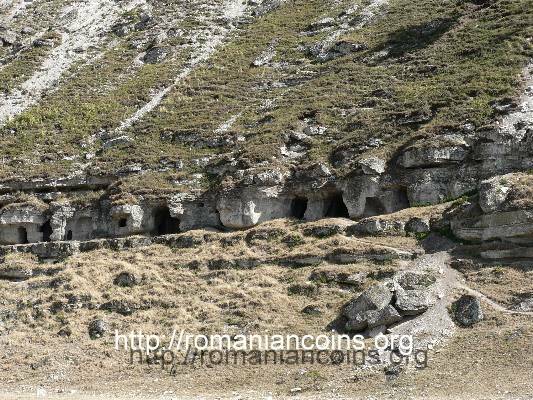 The bends of Răut isolate very elongated promontories, real natural fortresses with savage and monumental appearance. 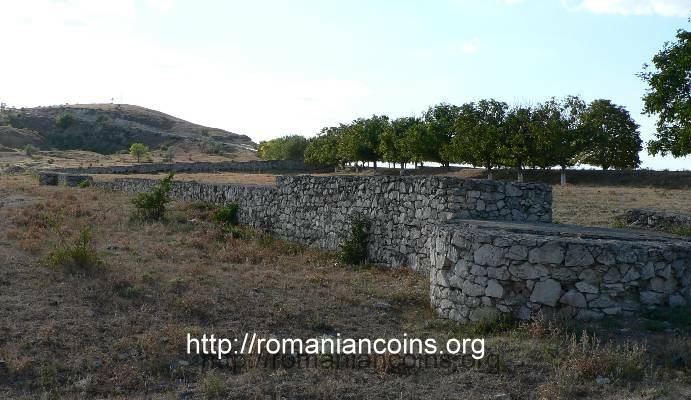 A multitude of cultural monuments of great historical significance are to be found at Old Orhei: Geto-Dacian fortress of Butuceni (4th-3rd centuries BC), two medieval fortresses, the baths from the 14th century, the palace of the burgomaster, a mosque and a church, earth ramparts, city dwellers' houses, cave monasteries and stone dug cells. From the half of the 13th century over to about 1369, a city of the Golden Horde lay here, named Shehr al-Djedid or Yanghi-Shehr, meanining New City. The city had a stone fortress. In 1357 Janibeg Khan was assasinated and the Horde entered a long civil war leading to disintegration. Between 1363 and 1365 Yangi-Shehr was the residence of Abdullah Khan . 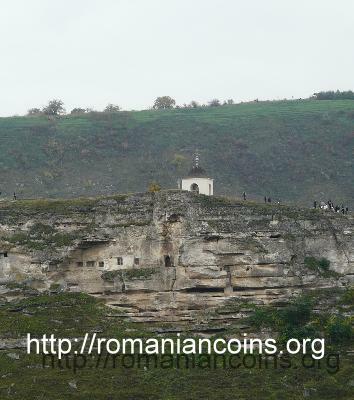 In that period, at Orhei, coins bearing the name of the Tatar city were struck, silver dirhems and copper fils. In the period 1366 - 1369 the area was ruled by a separatist Tatar emir . The city of Yanghi-Shehr became Moldavian shortly after 1369. However, until the end of the reign of Petru I Muşat of Moldavia, around 1392, it is considered that Moldavia reached its natural border on the river Nistru from the mountains to the Black Sea. 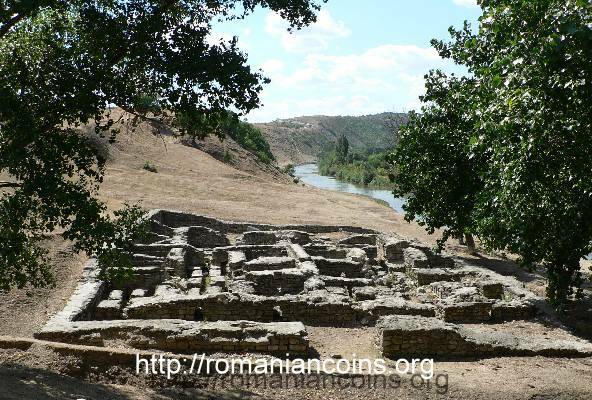 Nearby the bank of Răut River lie the ruins of the Tatarian baths. The building had more that 800 square meters. The water flowed inside the bath chambers through clay pipes. 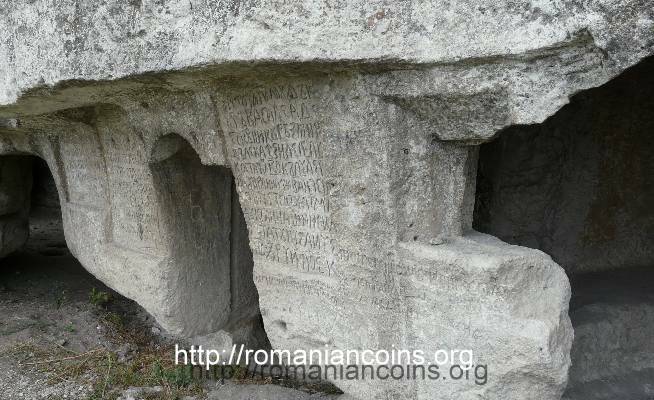 Here also was a small town named Peştera (Cave), founded by Ieremia Movilă (ruler of Moldavia between 1595 and 1606), but the locality regressed, and became in short time a simple village . The monastery was established in the 15th century. Nowadays the access into the monastery is done through a tunnel. The tunnel entrance has a belfry above - also represented on the coin. Nearby, on the edge of the cliff, is a stone cross, dating from the 18th century. In 1816 the five monks and three novices were moved to Suruceni Monastery . 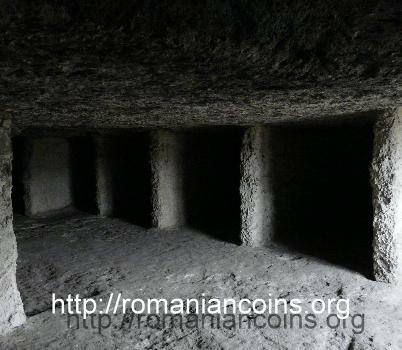 Around year 1820 the subterranean church was used by the inhabitants of Butuceni village. 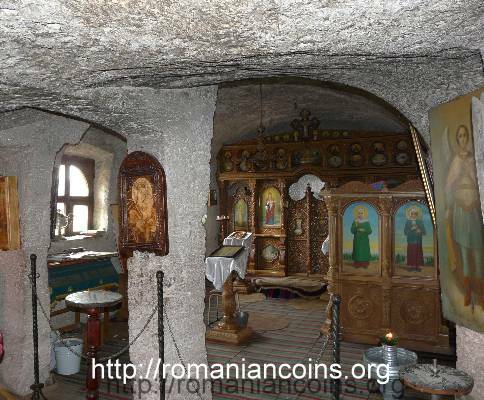 From 1904 Butuceni has its own church, dedicated to Saint Mary, erected at the highest point of the promontory. In spite of the opposition of the locam museum curators, in year 1996 several monks came to live here. 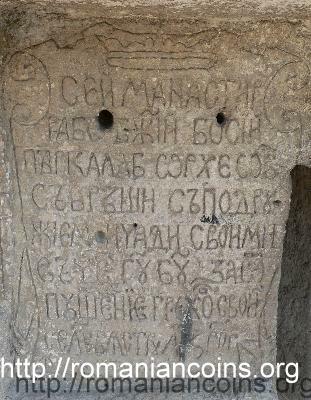 The votive inscription, written in Old Slavonic, can be translated as "This monastery was made by servant of God Bosie burgomaster of Orhei together with his wife and children for worshipping of God and for forgiveness of his sins [...] year 7173". Year 7173 from the creation of the world corresponds with year 1665 of the Christian Era. 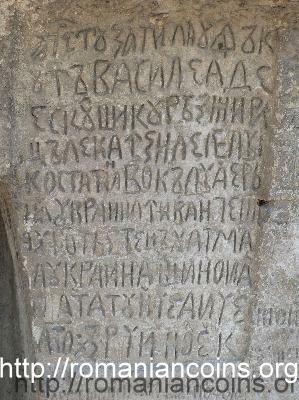 Another very old inscription, written in Romanian with Cyrillic letters, can be read as: "This deed was made by Vasile Adeescul and Răzmiriţă Leca in the days of Constantin Vodă when spent the winter Ukraine at Ivance and Şteţ was hetman at Ukraine and then we spent the winter here in year 7198 November 20". Year 7198 corresponds with 1689 or 1690, year when Moldavia was ruled by Constantin Cantemir, father of Dimitrie and Antioh Cantemir, that also were rulers of Moldavia. 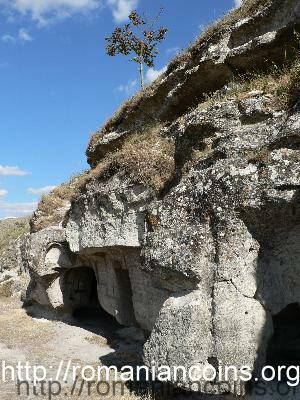 Other monastical cave complexes in the area are inaccessible today without specialized climbing equipment. 2. Cantemir D., Descrierea Moldovei. (Description of Moldavia, translation by Pandrea P.) Ed. Tineretului, Bucureşti, 1967, p. 86. 3. 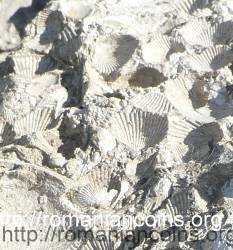 Giurescu C., Istoria românilor. 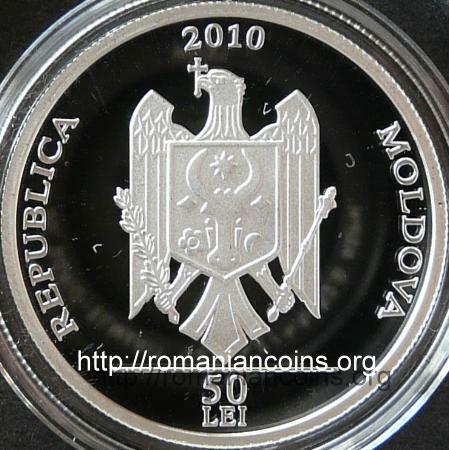 (History of the Romanians) Vol III, Ed. BIC ALL, Bucureşti, 2007, p. 359. 4. Postică Gh., Orheiul Vechi. (Old Orhei) Web pages, 1999-2000, January 2010 (August 2015, dead link). 5. Postică Gh., Orheiul Vechi: Cercetări arheologice 1996-2001. (Old Orhei: Archeological Researches 1996-2001) Ed. Universităţii Alexandru Ioan Cuza, Iaşi, 2006.